36"W x 13-7/8"D x 44-1/4"H. Ready to assemble. Planked Cherry finish. 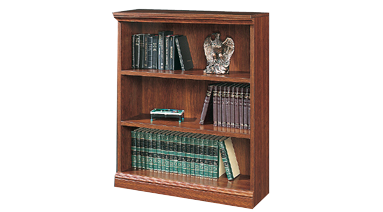 Features sturdy 1" thick shelves and uprights. 2 adjustable shelves.